The 1970's brought many technical advances to the television industry and Chicago boasted some of the best engineering teams around. Bill Kusack, who was working at WBBM-TV as chief engineer in the 70's won a national technical EMMY award for inventing Precise Frequency Carrier Control. When applied to all transmitters across the country, the offset frequencies were lessened because transmitters would now be operated to closer tolerances. Kusack, who had been with station since the old B&K days, had been the station's second engineer hired. 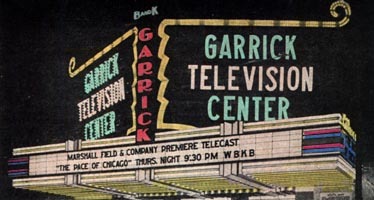 In 1968, in a move similar to 1964's WNBQ-WMAQ-TV switch, Chicago's oldest call letters, WBKB, quietly slipped into Chicago television history when that station changed to WLS-TV. The calls WBKB now belong to a CBS affiliate in Alpena Michigan on channel 11. It bears no relation to Chicago's landmark station. WCFC was Chicago's first all Christian/religious programming station. 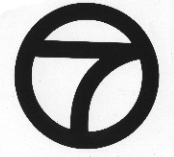 Purchasing a construction permit in 1975 from The Chicago Federation of Labor for WCFL-TV which was never built, the Christian Communications of Chicagoland, under the astute leadership of Jerry Rose, eventually began a 24 hour schedule of family oriented inspirational programming. 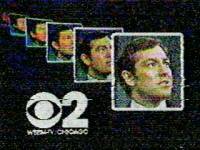 Previously in Chicago, religious airtime was limited to five minute sermons aired just after sign-on and just before sign-off including WBBM-TV's "Thought For The Day," and WMAQ-TV's "Meditations." WGN-TV took it one step further with its long-running "Mass For Shut-Ins" on early Sunday mornings, in addition to its own five minute offering, "Five Minutes To Live By." Throughout its 22 years on the air, WCFC won numerous awards for its high quality programming and its service to the Chicago communities. But despite all this, Rose was displeased at how broadcast Christian television had progressed over the years and decided that viewers would be best served by creating a new service, on cable, called The Total Living Network. On January 27, 1998, WCFC was sold to Paxson Communications and re-dubbed WCPX and became part of the seventh major commercial network Pax. Rose didn't completely abandon broadcast television all together, WCFC-LP is now a low power station operating out of Rockford on channel 51. 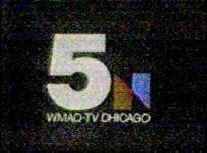 WCFC-channel 38 was the last of the UHF Chicago stations to focus its broadcast schedule to a specific target audience, a necessity in the early days of UHF stations if they were to survive. Today for most people, the term UHF is as antiquated as the vertical hold knob on your old black and white television. Once shunned and considered second-rate, the explosion of cable television in the 1980s put UHF on equal footing with its VHF counterparts. In addition, the introduction of electronic tuning, enabling the viewer to instantly change from channel 5 to channel 66 also changed the way some broadcasters and most viewers looked at UHF. It was no longer "no man's land." Do you remember "The Flying Classroom?"